Fizz, pop! pop! POP! 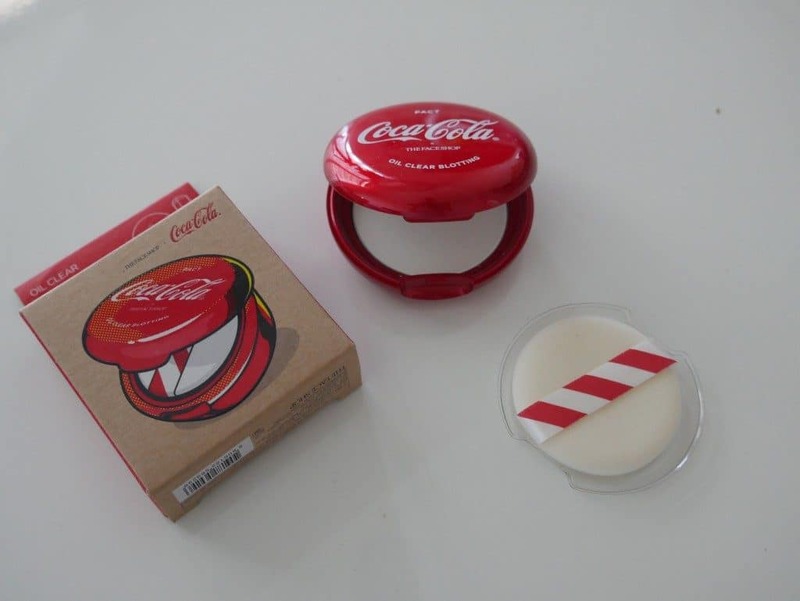 It’s The Face Shop ‘s new Coca Cola Collection! I recently posted a video on my Instagram (@MorganAlisonStewart) of me using some of The Face Shop’s Coca Cola Collection. I’m making a post about it because I think some of you guys might want to see some close-ups pictures, but in all honesty, I’m not impressed enough to make a full video. Besides the packaging, I didn’t find this collection all that unique and I felt like a lot of these were re-packaged products. Actually, I’m not even a big fan of makeup from The Face Shop in general. Dang… I know, that was a lot to unload. But I’m just being honest! However, to be fair, here are the pictures and I’ll also provide links of where you can pick them up if you’re so inclined. Enjoy! 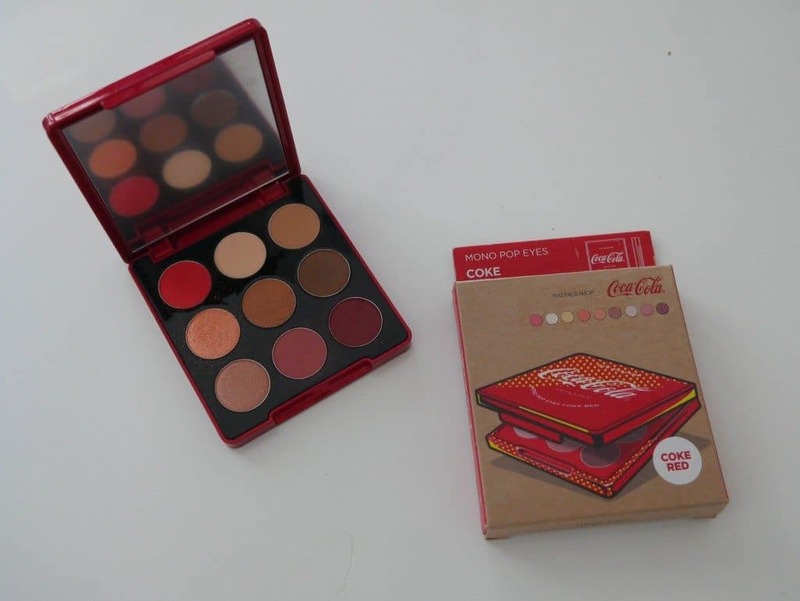 Now to give you a little intro into the collection itself, each of The FaceShop makeup products for this Coca Cola Collection are in eye-catching, bright red packaging. 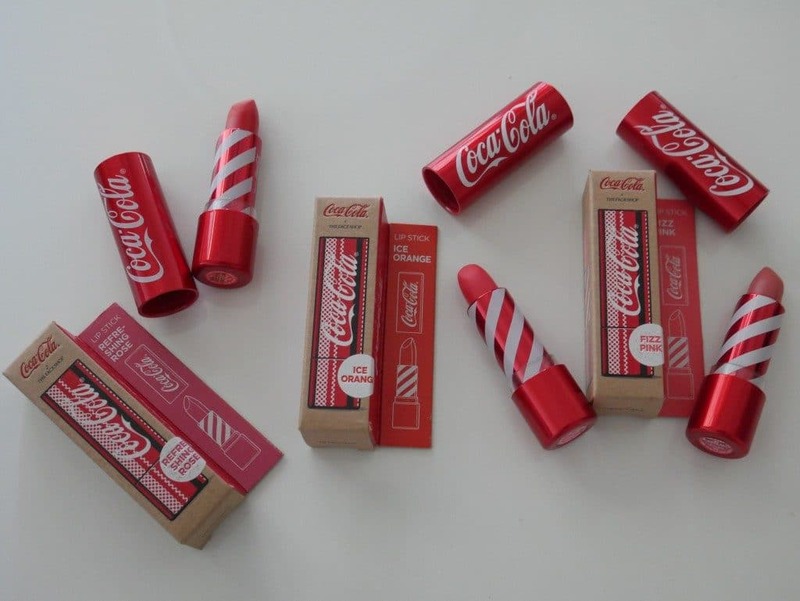 The lip tints even feature a Coca Cola scent! All in all, the collection contains one eyeshadow palette, their oil control water cushion, five matte lipsticks, five “creamy” lip tints, and three watery lip tints. 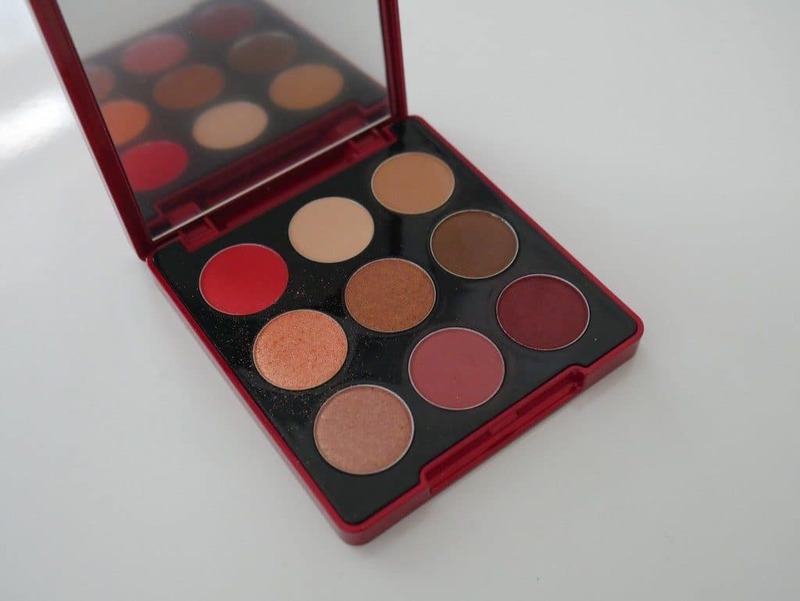 When I first saw the colors in the palette, I was really excited! I’ve been into this color scheme for a bit so I wanted to dig in right away. However, true to form, these colors were not very pigmented. You can see me use this palette in the instagram video I posted! This cushion has been re-packaged from their permanent line. I didn’t even bother opening this cushion to test it out because.. well, I already have tried this in the past. I’ve never been a big fan of The Face Shop’s cushions.. I feel like they’re always too heavy, cake-up, and come in weird shades and undertones. Let me know if you’ve ever tried any cushions from The Face Shop though! I’d love to see if I’m the only one who feels this way. haha. 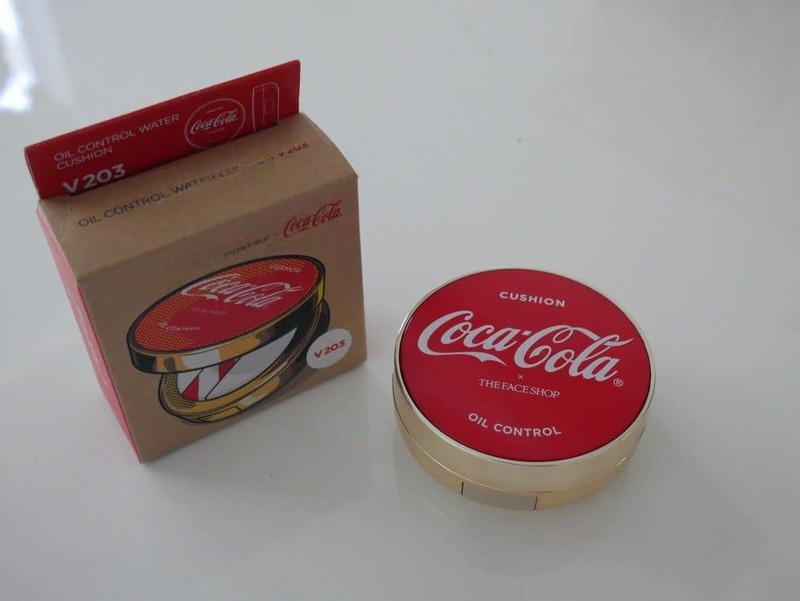 Again, this is another product that has been re-packaged for this collection from their permanent line. This is your average run-of-the-mill blotting powder meaning its best for selectively setting foundation or touch ups. I personally don’t use these types of powders that often because they’re designed more for oily skin and I have dry skin. 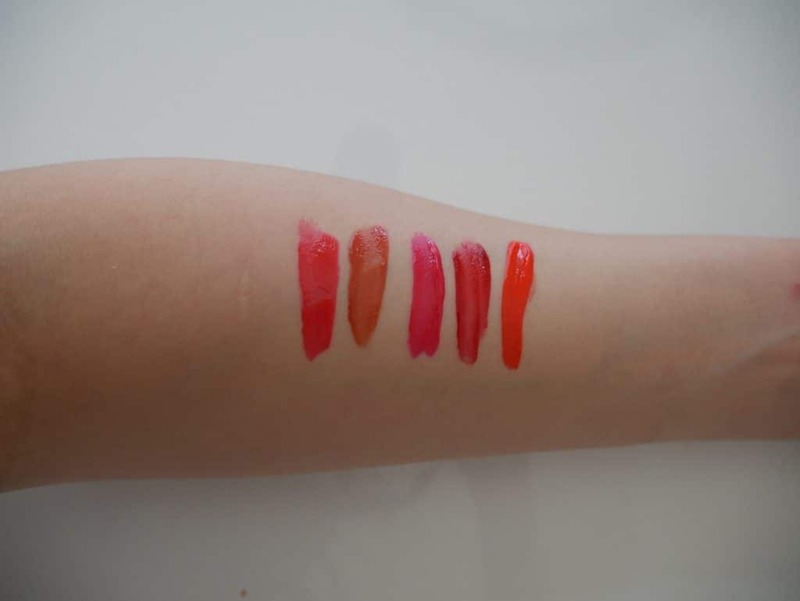 I’m surprised they just refer to these as lip tints because in my mind, they’re a little bit different that your average lip tint. These had a thicker consistency and because of this, are more opaque. A lot of the colors I feel like I’ve seen before, so I didn’t dive too much into these besides trying on a couple and swatching them for this post! 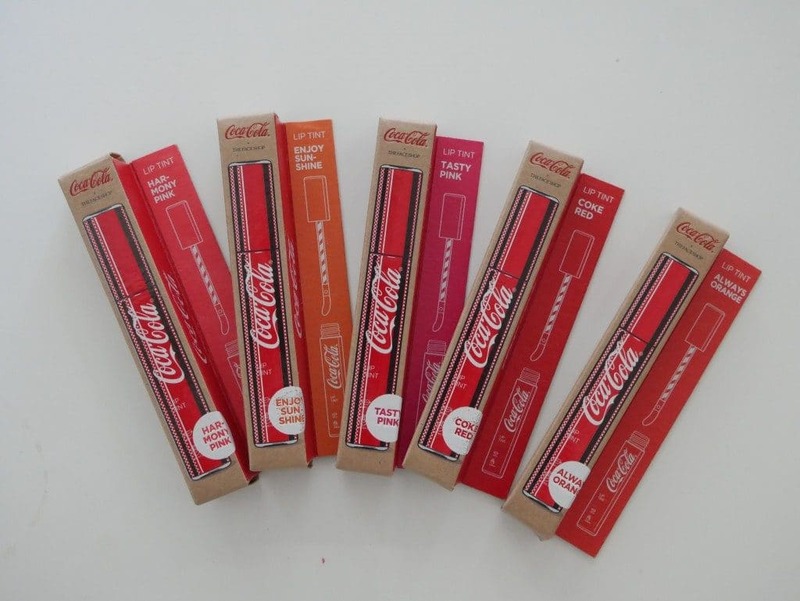 Oh and these are the lip tints that feature that Coca Cola scent I referred to above! So I only got 3 out of the 5 lipsticks from this collection. These are a matte lipstick and to me, these are really hard to apply. Literally. Instead of having a smooth, creamy matte texture, these are hard and take some pressure to get them going. You can actually see me push really hard on these in the instagram video when I’m applying. 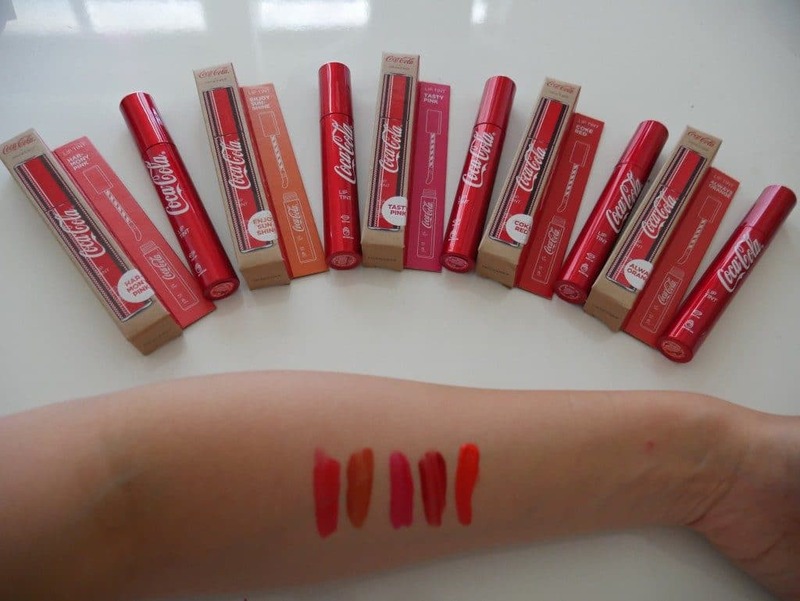 These were probably my favorite products from the collection… only because I liked the shades. 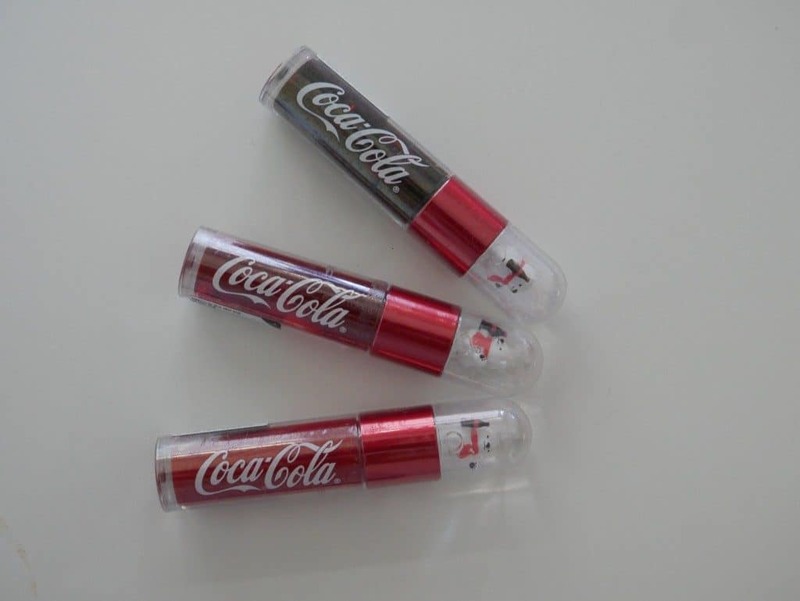 So I got a giggle out of these being called “Coke Bear” lip tints. That’s pretty much it haha. I didn’t even bother opening these because I pretty much know what these are going to be… why? Because again, they’re re-packaged from their permanent line. Ugh, was hoping for a little bit more creativity!